Climate changes in the Saratov region are stronger than the average in Russia and in the world. On January 14, 2010, public organisations - the Partnership for Development Association, Centre for Promotion of Environmental Initiatives, and Bird Conservation Union of Russia - held in Saratov a roundtable "Global climate change: a regional perspective." Its participants recognised the need to develop a system of adaptation to the adverse effects of climate change in the region. The round table was attended by representatives of universities and scientific institutions of Saratov (Saratov State Universiy, Saratov Stage Agricultural University, Saratov State Technical University, Institute of Agricultural Problems of the Russian Academy of Sciences, the Saratov Regional Center for Hydrometeorology and Environmental Monitoring, the Federal Office of Energy Efficiency and Energy Saving in the South-Volga region), non-governmental environmental organisations and the media in the region. The round table was also attended by the officials of the Government of Saratov region (Ministry of Forestry, the Committee on Environment and Nature, Ministry of Housing and Communal Services, Ministry of Industry, Public Relations Committee and National Policy). According to the head of the Regional Center for Hydrometeorology and Environmental Monitoring, the average temperature in the Saratov region has increased by more than 1,50 C, the annual runoff of small rivers decreases (in 2008 it amounted to 2-10% of average annual values), the number of adverse and dangerous hydro-and agro-meteorological events (strong winds, tornadoes, hails, frosts, droughts, extreme temperatures, etc.) increases. Despite the inevitable debate on the question of human contribution to climate change, all participants agreed that the adverse effects of climate change could have a significant impact on many spheres of activity, particularly in agriculture and forestry (which is especially important given the agrarian specific of the region). The discussions also touched ways to reduce greenhouse gas emissions, implementing energy-saving technologies and alternative energy sources. Ministry of Housing announced the development of the Energy efficiency programme for 2011 and subsequent years (as a continuation of the current one), with account for the Law on energy saving and the Climate doctrine. 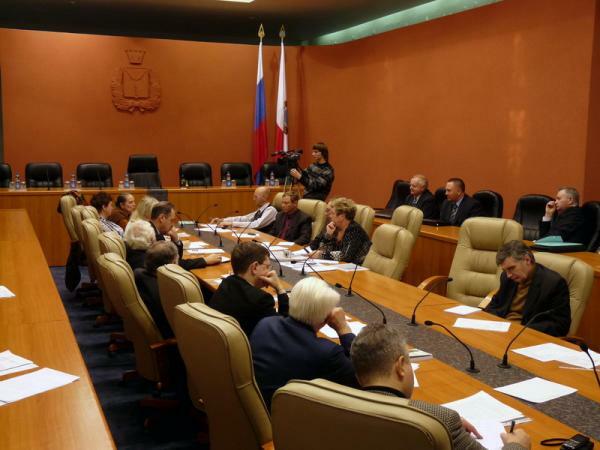 The Committee on Environmental Protection and Nature reported on the program of environmental improvement and urged all participants to submit proposals in the Action Plan to implement the Concept of eco-safety (which, while in the outline, includes a paragraph on the development of the program of ecological house-building). 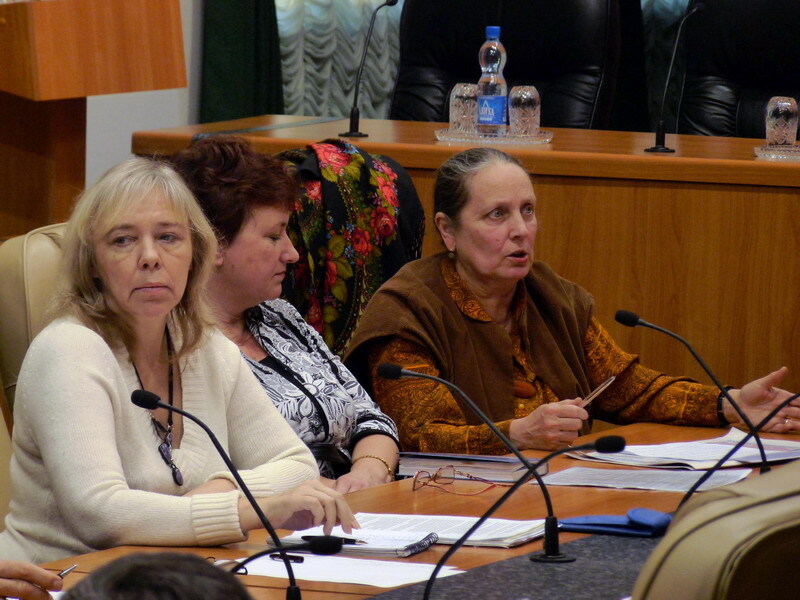 However, the question by Olga Pitsunova, the Chairperson of the Committee on Environmental Policy, Public Chamber of the Saratov region, was left unanswered: Why the Action Plan for 2010 does not include the section "Development of measures for adaptation to climate change and for reduction of greenhouse gas emissions" proposed by NGOs. Unfortunately, the Ministry of Industry and Energy did not make any presentation, although many participants raised issues that are within its sphere of competence (gas flaring, lack of equipment industrial treatment plants, etc.). The structures responsible for the population health and welfare - The Federal Service and the Ministry of Health – also kept silence. Meanwhile, the report by the Centre for Hydrometeorology and Environmental Monitoring definitely noted that the decrease in annual river flow will not only cause water shortages, but also the deterioration of water quality. Due to existing and projected climate changes, this will create favourable conditions for the spread of infectious and parasitic diseases, and deteriorate the situation for high-risk groups. The Round table participants agreed that there is the need to develop the regional climate strategy, as well as the system for adaptation to climate change. This follows not only from the Climate Doctrine of Russia, but is forced by currently manifested effects of climate change on the regional level. Taking into account the complexity of the problem, the round table participants agreed to create an interagency task force that will work on developing a regional climate strategy and action plans.